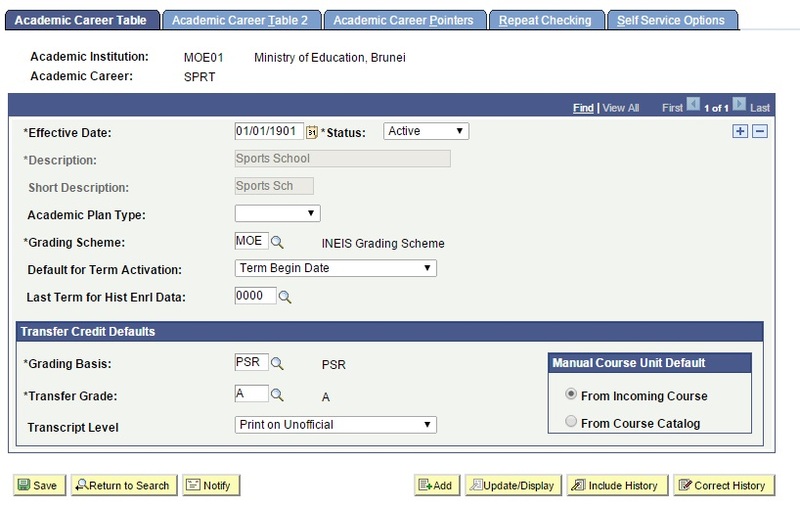 This function allows the users to Maintain the Academic Career. 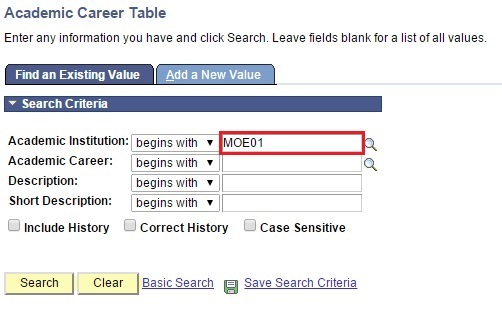 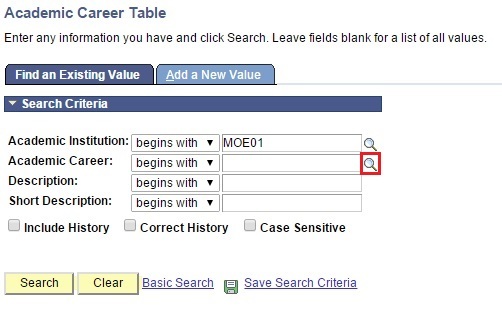 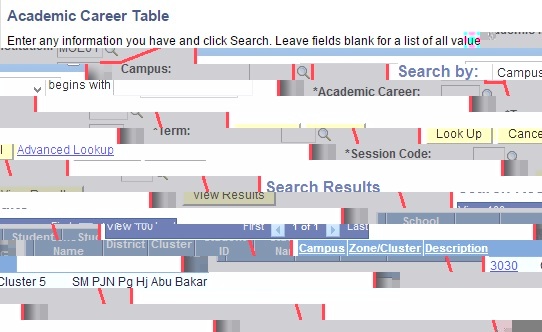 User will be directed to the Academic Career Table search page. 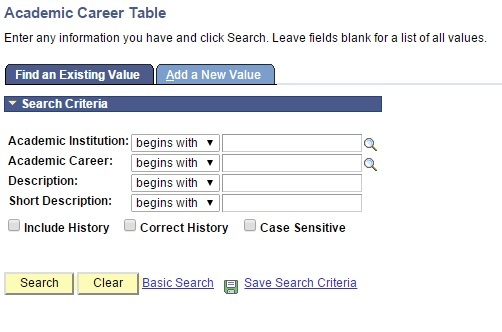 User will be directed to Academic Career Table page.